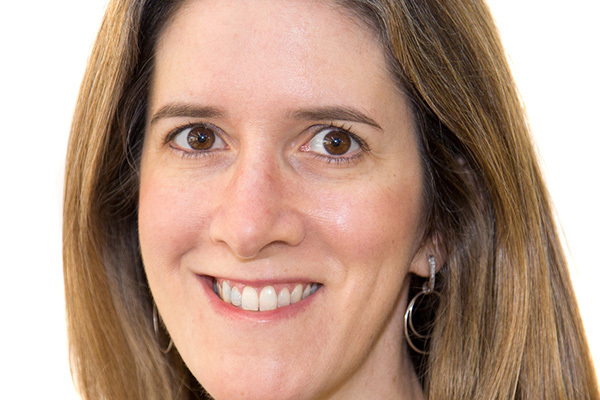 Claudia Richman (MSLOC14) was stuck in another seemingly pointless work meeting when she scribbled “look into change management programs” in the margins of her notes. 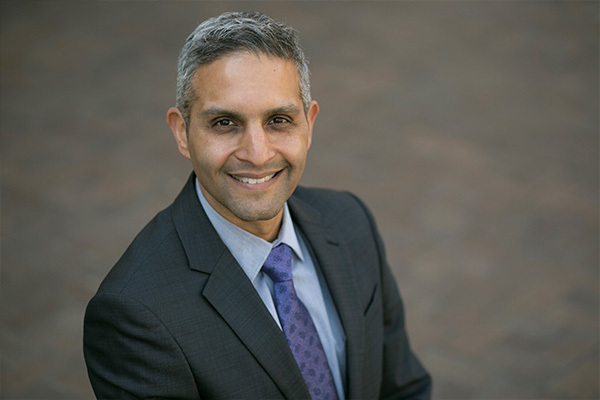 About halfway through his career at Accenture, Samir Desai felt the itch to teach high school. But the timing wasn’t right, and Desai soon realized that as a senior manager leading 25 people, he had the chance to teach – and learn – every day. 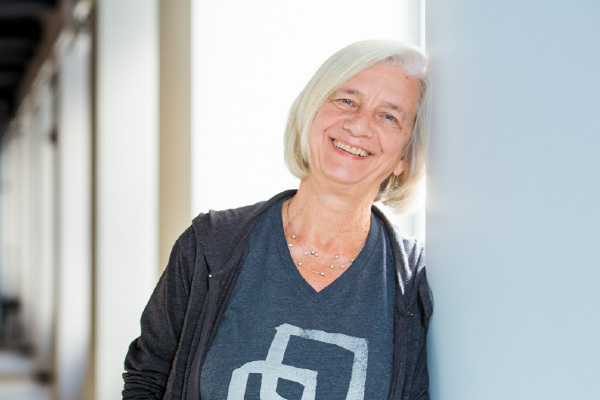 MSLOC at 15: Dorie Blesoff: A Learning and Organizational Change "Lifer"
Dorie Blesoff is a “lifer” when it comes to learning and organizational change. 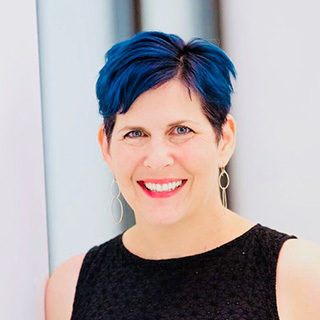 One of the program’s original instructors, Blesoff has been an Adjunct Faculty member in the MSLOC program since 2003, where she helps students think strategically about sustainable strategic change. 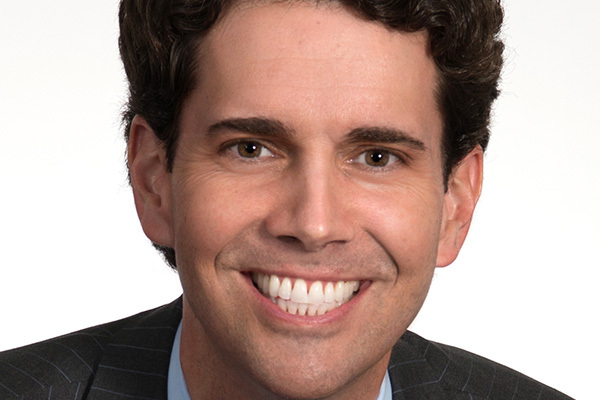 Kevin Schnieders (MSLOC 2016) had no intention of building a career in his father’s business. But after helping design a curriculum that re-trained steel workers, Schnieders fell in love with helping people find meaningful work. Over the next two decades, he helped EDSI grow from one small office in Dearborn, Michigan to more than 40 offices across seven states. We’re celebrating 15 years of the Master’s in Learning and Organizational Change program through a series of profiles highlighting the professional lives and experiences of MSLOC alumni and students. Stanley Fong jokes that his brain is part robot, part muscle. Sami (Nerenberg) Packard (MS15) trusts in the power of design thinking. It has, after all, helped her do everything from help grow a national network of college students using design for local and social good to reduce packaging waste in Nepal. Eric Johnson understands the frustration of being a bright, curious student struggling in an under-resourced school system. When Selena Wilson was four years old, her mom signed her up for an African dance class at the East Oakland Youth Development Center (EOYDC). 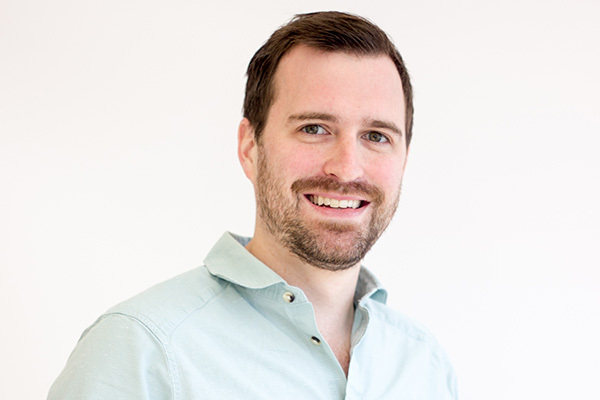 Graham Murphy (MSLOC14) was on the ground floor at Arabella Advisors as it grew from a small start-up to a nationwide company of consultants who advise donors. 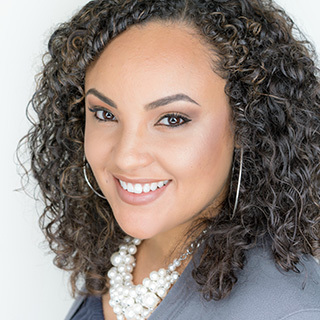 Coaching is one of the things Denver-based consultant Tamika Pumphrey (MS17) loves most about her work. We’re celebrating 15 years of the Master’s in Learning and Organizational Change program through a series of profiles highlighting the professional lives and experiences of MSLOC alumni and students. 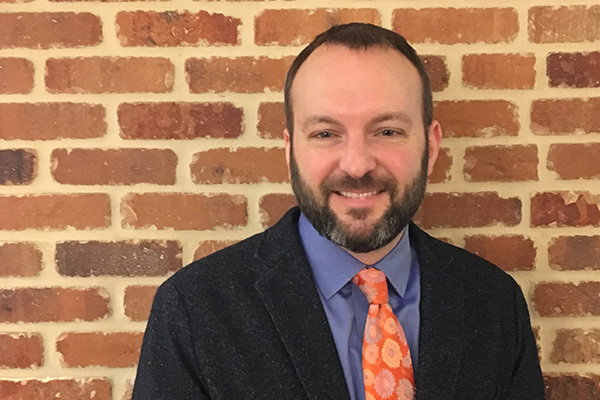 In this first story, meet William Campbell, director of learning and development at Playworks. MS Learning and Organizational Change students and alumni are change leaders who work in diverse organizational settings and roles. They advance in their careers by leveraging the strong MSLOC network, MSLOC career services and the leadership and strategic thinking skills developed during their time in the program. When Motorola Solutions, Inc. wanted to reinvent how it trained leaders, the company turned to students in Northwestern University’s Master’s in Learning and Organizational Change (MSLOC) program for a fresh perspective. An innovative faculty project in the Master’s in Learning and Organizational Change (MSLOC) program has received a 2017-18 Digital Learning Fellowship from the Office of the Provost at Northwestern University. The Funding promotes innovation in learning and teaching via educational technology. Two MS Learning & Organizational Change classes tell the story of this quarter's onsite experience - 2 1/2 full days of learning, camaraderie, food, and a dash of competition. A rigorous approach to developing leadership coaching capabilities leads these MSLOC coaches down a variety of paths, including working with executives, millennials and product development teams. Graduate students from Northwestern University’s School of Education and Social Policy (SESP) and the Kellogg School of Management recently participated in the 2016 National MBA Human Capital Case Competition in Nashville, Tenn.
MSLOC recently launched curricular enhancements that provide students increased flexibility in customizing their learning experiences. MSLOC's Twitter chat archive - #mslochat for October, 2016. How does coaching excellence emerge from the integration of theory and practice? MSLOC's Twitter chat archive - #mslochat for September, 2016. How might we bring an experimental mindset to learning and organizational change work? As lines between social issues and business blur, companies feel pressure to go beyond a basic standard of “doing well by doing good” to explicitly making positive contributions to society. 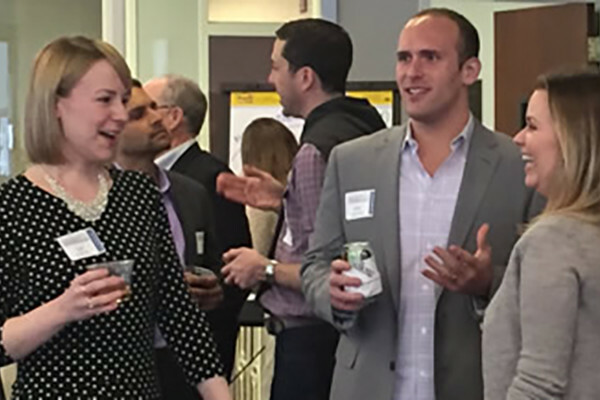 Dozens of students, alumni, and faculty attended MSLOC's Meetup Mixer on May 20, 2016 at the downtown Northwestern campus. In an age where employees are becoming increasingly disengaged at work, the concept of job crafting has been developed to help employees gain more control over their professional lives. Job crafting describes the process by which employees alter the tasks, relationships, or perceptions of their jobs in order to bring more purpose and fulfillment to their work. In an ever-fluctuating economy where job stability is highly valued, job crafting is a practical way to turn the job you have right now into the job you want. This study examines experienced job crafters and outlines their most effective methods in order to derive a set of principles and practices that any individual can implement to effectively incorporate job crafting into his or her current role. Master of Science in Learning and Organizational Change students, alumni and faculty work in a variety of organizational settings and roles. But their career stories also speak to a common thread – the impact they make as innovative change leaders. Some highlights from recent editions of People on the Move. Recognizing patterns, making decisions and managing risk are the core activities of strategic leadership. Here's why. SESP graduate student Lanier Zimmer received a prestigious Luce Fellowship to work and learn in Asia over the next year. A student in the Master of Science in Learning and Organizational Change program, she will begin with a language and cultural orientation this summer. A new book by two instructors in the SESP Master of Science in Learning and Organizational Change program examines what leaders who think strategically do differently. Aaron Olson (MS98) and B. K. Simerson say their book Leading with Strategic Thinking is based on their teaching at Northwestern, 35 years of consulting experience and a study of more than 300 leaders. Mergers and acquisitions involve complex organizational changes and have been reported to have failure rates of anywhere from 50% to 75%. Though financial and economic issues contribute to the high failure rates, some research has developed around the human factors associated with the failures of mergers and acquisitions. Yet few studies exist on what could be done to make M&As more successful. This study explored factors that have a positive impact on the success of mergers and acquisitions. Results from this study support the existence of a positive correlation between resilience and commitment, and suggest that organizations seek out ways to foster resiliency in employees as a part of the M&A implementation. It is said that creativity is impacted by individual variables and the sociocultural context. This study explores the correlation between intrinsic motivation and the degree of individual-environment fit on individual’s preferences for solitude and polychronicity (the degree of preference for doing multiple activities simultaneously) for individuals who work in creative jobs. Drawing from Teresa Amabile’s Intrinsic Motivation Principle of Creativity, this study is based on well-grounded research understanding that intrinsic motivation is a strong predictor of creative performance. The study assumes that if the individual-environment fit on preferences for solitude and polychronicity are positively correlated to intrinsic motivation then this fit should also positively impact creativity. Findings of the study revealed that individuals whose preferences for solitude were supported by the environment reported higher levels of intrinsic motivation. However, no such significant correlation was found for individual’s preferences for polychronicity. For graduate students in the Learning and Organizational Change master’s program (MSLOC), collaborations with companies and nonprofits fuel learning. Students benefit from real-world challenges, while organizations welcome the fresh input from knowledgeable students. Current projects include collaborations with Leo Burnett advertising agency and Lurie Children's Hospital. In this special edition of MSLOC's People on the Move, we highlight the story of Beth Seraydarian and Kevin Schneiders, both students in the Master of Science in Learning and Organizational Change program at Northwestern University. 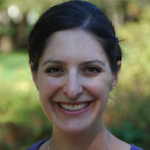 Beth came to the MSLOC program interested in transitioning from external human capital consulting to a role focused on internal talent and organizational development. 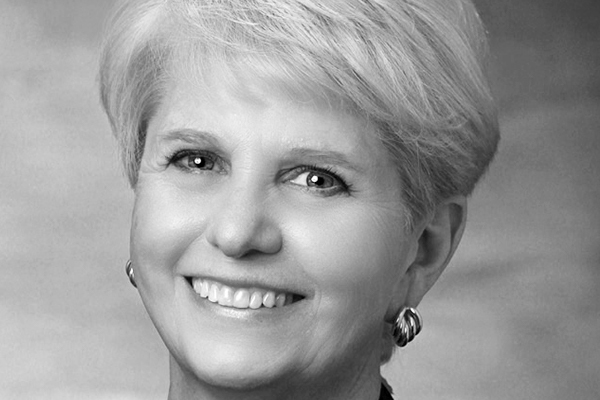 Recently she joined EDSI, a training and consulting firm focused on helping people and companies in transition. Just one year after starting graduate school, she became a Talent Development Specialist at EDSI. The CEO of EDSI Solutions? Beth's MSLOC classmate Kevin. It's no surprise that many MSLOC students, alumni and faculty team up outside the confines of the classroom. The curriculum encourages students to engage with one another to collaboratively solve organizational challenges presented in class. Students showcase their creativity, leadership and problem-solving skills while learning with their peers. And they begin to understand the working styles and capabilities of their classmates. In this interview, Kevin and Beth discuss their journey from being teammates on an MSLOC Foundations team - a course that uses problem-based learning to foster collaboration among students - to becoming colleagues, all the while living in two cities 500 miles apart. Employees who act as brokers within their organizational networks play a critical role. They serve as communicators, ambassadors, knowledge sharers, interpreters, and innovators of their organizations. They translate across functions and sustain their networks’ overall cohesiveness. By spanning “structural holes” that isolate individual employees, work groups, and business units from one another, research has demonstrated that brokerage yields significant benefits to both organizations and individuals. Savvy organizations, therefore, incentivize and support network brokers. To help organizations to understand the behavioral motivations, personality traits, and organizational structures common among successful brokers, this research surveyed employees using Social Network Analysis and organizational culture typing. The findings indicate that specific characteristics, particularly interpersonal sensitivity, inquisitiveness, and skepticism, higher position levels, and specific organizational structures, particularly hierarchical cultures, impact brokerage. Large corporations are turning to organizational communities of practice (OCoPs) with increasing frequency to promote organizational learning, as well as innovation and competitive advantage. Consequently, OCoPs are becoming more embedded within these organizations, assuming characteristics historically associated with more formal work teams. Based on interviews with 10 individuals from different organizations and industries, the findings of this study suggest that employees maintain distinct mental models of OCoPs versus work teams for several reasons. For organizations and leaders interested in fostering OCoPs, this study suggests some tactics for conveying the benefits of and sustaining such communities. Think Differently: How can employees in learning organizations challenge traditional mental models around giving and receiving performance feedback? Northwestern University's MS Learning & Organizational Change community is a network of change agents working across industry and function who believe in advancing organizations through the power of people. The Learning & Organizational Change Digest highlights a few topics that have sparked conversation in our network. Tapping into social collaboration technology typically used by large companies, the SESP Master of Science in Learning and Organizational Change Program (MSLOC) is pioneering the use of the cutting-edge Jive social networking software for an educational purpose. For MSLOC, Jive provides an online space where students and faculty build a strong and robust learning community. Thanks to a unique partnership between the YMCA and the Master of Science in Learning and Organizational Change (MSLOC) program in the School of Education and Social Policy, Northwestern University graduate students are an integral part of the pathway to how YMCA staff and volunteers tell the Y’s story. Maximizing the development of talent through one-on-one and group coaching is a strategy for many human capital leaders seeking ways to strengthen and grow their organizations. Singularly qualified to prepare professionals in the areas of learning and change, the Master of Science in Learning and Organizational Change Program is kicking off a new graduate certificate program in organizational and leadership coaching. Are Face-to-Face Teams More Creative than Virtual Teams? One of the few big decisions made by Yahoo’s new CEO, Marissa Mayer, in September 2013 was to ban its employees from working from home. This decision was heavily criticized by many experts, referring to it as a step backwards for workplace flexibility. Mayer defended her decision by stressing that "people are more collaborative and innovative when they're together face to face” (Kleiman, 2013). Traditionally teams met face to face. However with the advancements in technology and high demand for workplace flexibility, virtual teams became more prevalent. While virtual teams may be more cost-effective than face-to-face teams, there have been several discussions lately, like the one above, regarding the efficacy of virtual teams. Given this, most of the companies interested in building a global workplace will be interested in determining if virtual teams actually work. This study has been designed to evaluate if virtual teams are as creative as face to face teams and identify factors that increase and decrease creativity in virtual teams. The results of the study, based on an online quantitative survey, show that participants found face to face teams to be more creative than virtual teams. 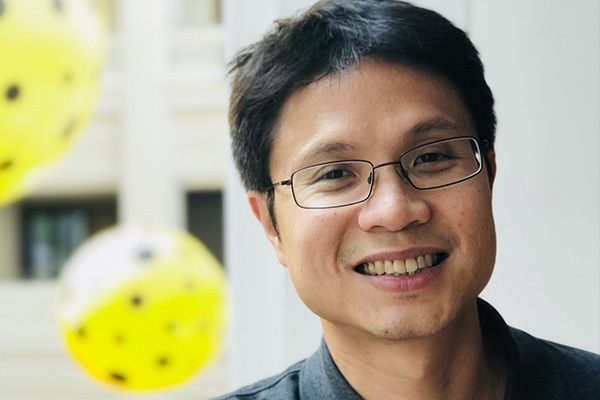 Master of Science in Learning and Organizational Change (MSLOC) students Amber Barger, Jessica Domijan and Stanley Fong have been awarded Education Pioneers Fellowships for this summer. Education Pioneers, a nonprofit organization focused on transforming K-12 urban education, selects top graduate students across the nation to support nonprofit partners and build a national leadership network. Think Differently: How can slowing down to reflect enhance individual performance in your organization? 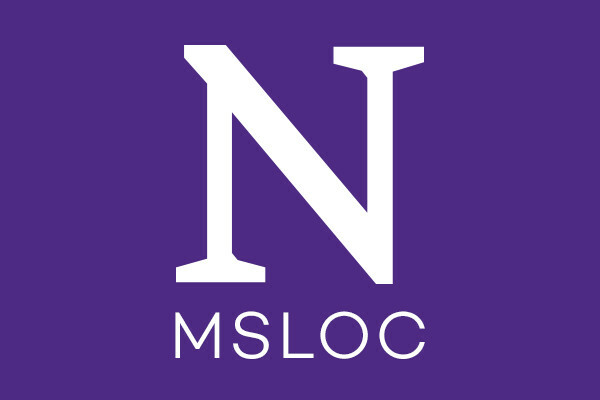 Northwestern University's MS Learning & Organizational Change community is a network of change agents working across industry and function who believe in driving progress through collaborative conversations. The Learning & Organizational Change Digest highlights a few topics each month that have sparked conversation in our network. Congratulations to members of the MSLOC community who have recently moved into new positions! How Managers Approach Strategic Decisions: Think, See or Do? Managers make decisions every day that directly impact the growth and stability of their organizations. 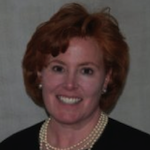 In this study, Bea La O’ (MSLOC 2014) uses Mintzberg and Westley’s (2001) lens of “think-first,” “see-first” and “do-first” to explore how managers make strategic decisions. The results reveal that managers who balanced the three approaches engaged in organizational norms such as open communication, data analysis and prototyping to promote organizational learning. Based on her findings, Bea provides practical recommendations for managers who are looking to 1) expand the variety of decision-making approaches used in her team or organization, 2) build commitment to a change, and 3) bring out her colleagues’ strengths in decision-making. Think Differently: How can organizations prepare change leaders for VUCA (volatility, uncertainty, complexity and ambiguity)? 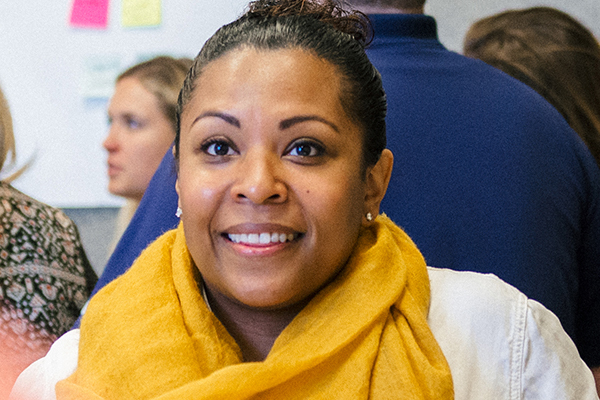 MSLOC students and alumni are change leaders who work in diverse organizational settings and roles. They advance in their careers by leveraging the strong MSLOC network, MSLOC career services and the leadership and strategic thinking skills developed during their time in the program. Congratulations to members of the MSLOC community who have recently moved into new positions! Students, faculty, staff and alumni of Northwestern University's MS in Learning & Organizational Change Program regularly share knowledge and resources online about organizational development, leadership coaching, strategic change, talent management, knowledge management, and learning and development. Browse the December 2013 highlights from Twitter, blogs, Google+ and other online resources. Students, faculty, staff and alumni of Northwestern University's MS in Learning & Organizational Change Program regularly share knowledge and resources online about organizational development, leadership coaching, strategic change, talent management, knowledge management, and learning and development. Browse the November 2013 highlights from Twitter, blogs, Google+ and other online resources. Few women hold roles at the top levels of organizations and of those who do, many have reported their intent to leave within five years. This study investigates the transition experiences of executive women who have opted out. It explores the genesis of their desire to opt-out, the support they received and would have liked to receive as well as the role of coaching in the process. Participants reported experiencing a distinct transition process with identifiable phases and that coaching would be useful in the transition. Today's increasingly global business world is resulting in more organizations sending employees to work outside their home countries as expatriates. Organizations incur tremendous costs to support expatriate assignments, which can be challenging for the employees. This study defines characteristics of successful expatriates and assesses how coaching can support the expatriate's success. Becky Schneider (MSLOC 2012) at Cargill, Inc.
Students, faculty, staff and alumni of Northwestern University's MS in Learning & Organizational Change Program regularly share knowledge and resources online about organizational development, strategic change, talent management, knowledge management, and learning and development. Browse the October 2013 highlights from Twitter, blogs, Google+ and other online resources. Then join the conversation this fall! As virtual teams continue to become more commonplace within organizations, factors which impact their performance are increasingly examined. One such factor is knowledge sharing, a key determinant of team effectiveness (McNeish & Mann, 2010, p. 19). Overcoming physical distance, time differences, and lack of face-to-face contact, presents a particular challenge for the leaders of virtual teams. 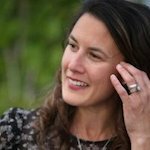 In this article, Carrie Gibson (MSLOC 2013) explores how leaders can help build trust among members of virtual teams in order to increase knowledge sharing. Students, faculty, staff and alumni of Northwestern University's MS in Learning & Organizational Change Program regularly share knowledge and resources online about organizational development, strategic change, leadership, knowledge management, and learning and development. Browse the September 2013 highlights from Twitter, blogs, Google+ and other online resources. Then join the conversation this fall! Through a series of blog posts, MSLOC student Teresa Torres explores behavioral economics and the role it can play in decision-making. While most organizations have formally established missions, very little is known about how these missions actually impact employees. 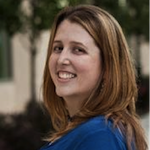 This study by Carrie Gibson (MSLOC 2013) investigates whether missions are associated with employee engagement. The results reveal that it is an employee's belief that her work contributes to fulfilling the mission of her organization that has the greatest correlation with the meaningfulness condition of her engagement. Based on her findings, Carrie recommends that 1) the mission be publicized throughout the organization, 2) every employee knows how her work contributes to fulfilling the mission, and 3) the mission, and the work employees do to achieve it, is celebrated. Students, faculty, staff and alumni of Northwestern University's MS in Learning & Organizational Change Program regularly share knowledge and resources online about strategic change, leadership, knowledge management, and learning and development. Browse the July 2013 highlights from Twitter, blogs, Google+ and other online resources. Then join the conversation this fall. Many leaders strive to increase the adoption and viability of their online social communities. This research study illuminates some effective practices regarding leadership communications in enterprise social software platforms to help organizational leaders (and the internal communicators that support them) to best understand how to effectively engage in these environments. This research indicates that leaders who use reciprocal and frequent communication styles may increase community member participation in enterprise social software platforms. Caroline McGrath (MSLOC 2013) and Renata Figueiredo (MSLOC 2013) presented their MSLOC Capstone research at the International Conference on Knowledge, Culture and Change in Organizations in June 2013. 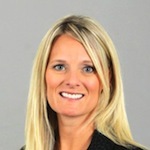 Based on her Capstone research, DeAnna Myers (MSLOC 2013) will facilitate a discussion on knowledge continuity management in the engineering field at the American Council of Engineering Companies 2013 Fall Conference. As MSLOC wraps up the 2012-2013 academic year we congratulate students, faculty and alumni who have been on the move recently, both in their professional roles and through presentations and other events. Learn more about how an MSLOC degree can help you further your own career and learning goals. Students, faculty, staff and alumni of Northwestern University's MS in Learning & Organizational Change Program regularly share knowledge and resources online about strategic change, leadership, knowledge management, and learning and development. Browse the June 2013 highlights from Twitter, blogs, Google+ and other online resources. Then join the conversation this summer! Communicating with Employees during Mergers and Acquisitions: How is the Use of the Authentic Communication Principles Associated with Employee Outcomes? Many mergers and acquisitions (M&A) fail to achieve their expected results. Among the factors that impact M&A performance is the quality of the communication with employees. This study examines whether the use of Bishop’s (2006) ten principles of authentic communication is associated with the following employee outcomes in the context of M&A: employee satisfaction, employee commitment, and perceptions of the long-term effects of the M&A. As the market becomes increasingly complex and competitive, companies are using brands to distinguish their products and connect emotionally with stakeholders (Hatch & Schultz, 2003). This research study explored the relationship between employees’ identification with an organization and the employee’s ability to represent the organization’s brand to external stakeholders. A statistically significant positive correlation was found between organizational identification and an employee’s willingness to represent their organization’s brand. The study also found that brand knowledge needs to be present for the relationship between organizational identification and brand representation to hold true. Students, faculty, staff and alumni of Northwestern University's MS in Learning & Organizational Change Program regularly share knowledge and resources online about strategic change, leadership, knowledge management, and learning and development. Browse the May 2013 highlights from Twitter, blogs, Google+ and other online resources. Then join the conversation this summer! The talent pool of women is higher than ever: women now comprise 51% of the workforce in management, professional and related occupations. Diversity and inclusion efforts in Fortune 500 companies are adding more women into leadership roles, including the C-suite. 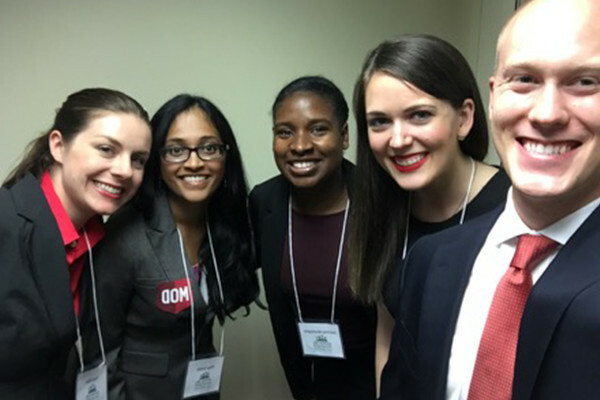 Great momentum—but what about ensuring women are ready to take on progressive roles? 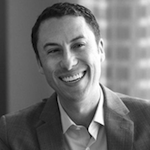 Unleashing Employee Creativity: What Matters Most in Sustaining Creativity Engagement? Employees make valuable creative contributions in a wide variety of ways ranging from breakthrough discoveries to incremental improvements in processes. This study focuses on understanding how to optimize sustainable employee creative contributions by examining the relationships between organizational, managerial, and employee factors both in the preparation phase for being creative and when employee creativity is interrupted. The findings of this study show that an integrated view of the factors in creativity preparation and persistence is validated and that what appears to matter most in overcoming creativity interruptions is individualizing and sustaining organizational support for creativity. Do you relate to Dilbert's view of the work environment as endless rows of bland cubicles or are you fortunate to work in an environment that promotes creativity and flexibility? Organizations are increasingly turning to flexible work environments to decrease costs and/or improve productivity. But what does this mean to the individual employee? What are the potential drawbacks and benefits organizations need to understand? Students, faculty, staff and alumni of Northwestern University's MS in Learning & Organizational Change Program regularly share knowledge and resources online about strategic change, leadership, knowledge management, and learning and development. Browse the April 2013 highlights from Twitter, blogs, Google+ and other online resources. Then join the conversation this spring! Leaders are leaders, and they lead well no matter the environment in which they are leading. Right? Not quite. The context in which leaders are situated is important to understanding how effective they stand to be. Ten Chicago-based, nonprofit chief executives — each with for-profit experience — recently discussed their experiences in both sectors as a means of distinguishing their performance as leaders. This Capstone study addresses the following question: To what extent does effective leadership vary between nonprofit and for-profit contexts? Students, faculty, staff and alumni of Northwestern University's MS in Learning & Organizational Change Program regularly share knowledge and resources online about strategic change, leadership, knowledge management, learning and development and design. Browse the March 2013 highlights from Twitter, blogs, Google+ and other online resources. Then join the conversation this spring! The assumption behind the modern work team is that better decisions are made through sharing and discussion of diverse points of view. However, there are a number of factors — including organizational culture, personality, cultural diversity, and level of experience — that can prevent team members from feeling confident about their ability to add value to the decision making process. This article explores how an individual team member’s lack of self-efficacy can lead to self-limiting of contributions to the team decision making process. Examining organizational change is clearly central to the MSLOC program. Through a series of blog posts about changing habits, Susan Barrett Kelly, a faculty member and alumna of MSLOC, shares with us a detailed look at individual change. Students, faculty, staff and alumni of Northwestern University's MS in Learning & Organizational Change Program regularly share knowledge and resources online about transforming organizations. Browse the February 2013 highlights from Twitter, blogs, Google+ and other online resources. Then join the conversation this spring! A February class session of MSLOC 430 Creating and Sharing Knowledge convened three guest speakers for a panel discussion to explore challenges related to digital networked knowledge sharing. Find out what happens when everyone is simultaneously having a conversation in the classroom and on Twitter. Measurement is a very critical element for all organizations. At MSLOC, we constantly explore the various elements of designing good measures for assessing both tangible and intangible results. MSLOC student and Knowledge Lens guest blogger Teresa Torres explores this topic as it relates to product development. Students, faculty, staff and alumni of Northwestern University's MS in Learning & Organizational Change Program regularly share knowledge and resources online about transforming organizations. Browse the January 2013 highlights from Twitter, blogs, Google+ and other online resources. Then join the conversation this winter! One strategy for developing authenticity in leaders is the sharing of their life story, providing followers with insight into their authenticity. This MSLOC Capstone study explores how awareness of a leader’s life story impacts followers’ perception of their authenticity, as well as how authentic leadership impacts follower job satisfaction. Students, faculty, staff and alumni of Northwestern University's MS in Learning & Organizational Change Program regularly share knowledge and resources online about transforming organizations. Review the Fall 2012 highlights from Twitter, blogs, Google+ and other online resources. Then join the conversation this winter! Knowledge organizations commonly attempt to sustain their intellectual capital by utilizing in-house experts to train novice staff, but an expert’s ability to predict what is necessary to transfer knowledge to novice learners can be compromised by biases associated with an expert’s superior level of expertise (Hinds, 1999). Findings from this MSLOC Capstone study suggest that experts misdiagnose novice learning needs and though they usually attempt to adjust content to accommodate the novice learner, those adjustments are less successful than the experts perceive. 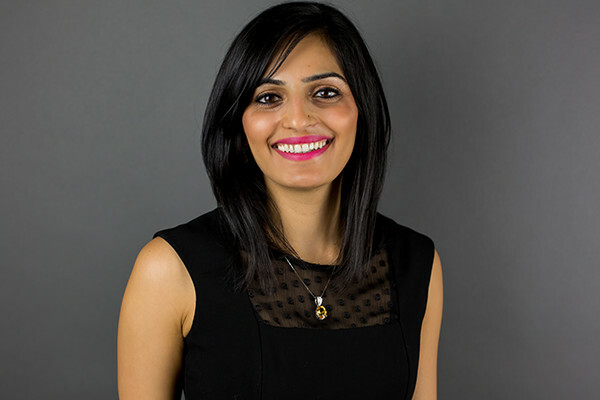 Master of Science in Learning and Educational Change students Amanda Dawson and Swati Surupria were selected for the 2012 National MBA Human Capital Case Competition as members of a Northwestern team composed of SESP and Kellogg students. Only 12 teams from across the nation were selected for the sixth annual competition, held October 18 to 20 in Nashville. Students, faculty, staff and alumni of Northwestern University's MS in Learning & Organizational Change Program regularly share knowledge and resources online about transforming organizations. Review the August/September 2012 highlights from Twitter, blogs, Google+ and other online resources. Then join the conversation this fall! Between 2009 and 2011 as part of the Foundations course, MSLOC students helped tackle the challenge of changing the way in which school districts feed their students. Deborah Cavanaugh-Grant, University of Illinois Extension Educator, recently shared one team’s work at the 2012 Small Farm Conference in Memphis, Tennessee. 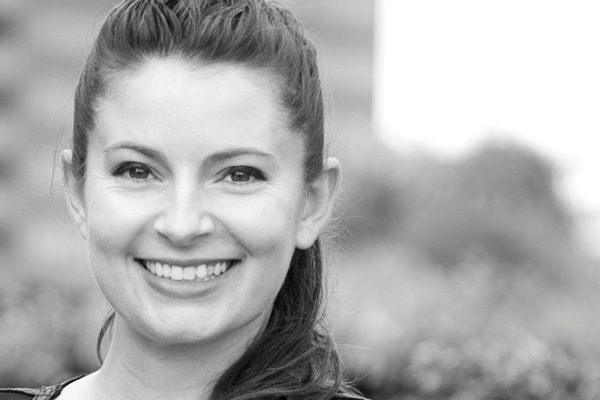 Maggie Lewis (MSLOC 2008) is Managing Partner at design firm Studio Blue. In this seven-minute Innovator Talk, Maggie reflects on what designers may know about the creative process that other business professionals might not. 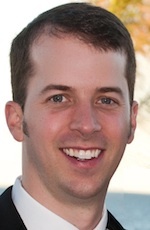 Peter Finn (MSLOC 2007) is Director of Learning & Development at the Society of Women Engineers. In this seven-minute Innovator Talk, Pete shares his insights on using a competency framework to help insure non-profit board members are truly invested in the long-term growth of the organization. Responsible for Global Talent Management? Don't Be Overwhelmed by All the Differences! Consultant Kelly Ross (MSLOC 2011) reflects on her experience as an expatriat and globe-trotting consultant in this seven-minute Innovator Talk. The good news for global talent management: People are more similar than different. 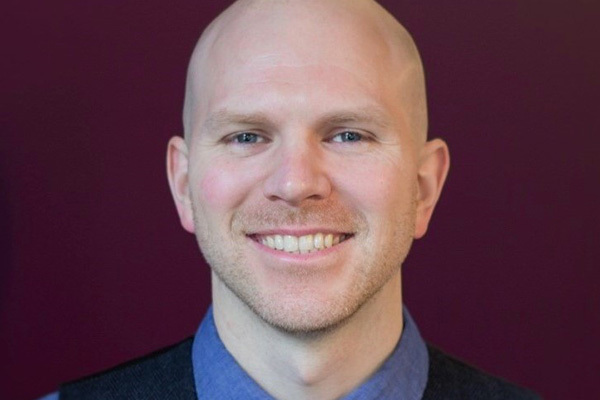 Booz & Company Associate Jesse Newton (MSLOC 2011) explores the connection between happiness and change capability in this seven-minute Innovator Talk. 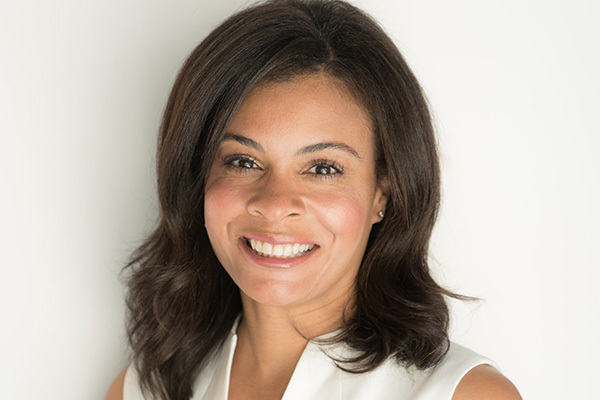 Renetta McCann (MSLOC 2012) joins Leo Burnett at Chief Talent Officer for the U.S., one of several new career moves among MSLOC alumni and students. 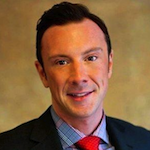 MSLOC alum and entrepreneur Jason Becker explores the nature of strategy and change in a start-up environment. "Don't mistake a clear vision for a short distance." Students, faculty, staff and alumni of Northwestern University's MS in Learning & Organizational Change Program regularly share knowledge and resources online about transforming organizations. Review the July 2012 highlights from Twitter, blogs, Google+, Remember.com and other online resources. Then join the conversation this fall! Many dual-income couples with children report working too many hours and struggle with managing the increasingly overlapping work and family domains. This study investigates whether there are differences in satisfaction with job, job flexibility, work-family balance, and family by comparing part-time and full-time working mothers. MSLOC alumni Sara Levinson (MSLOC 2010) and Michelle Frisque (MSLOC 2012) share findings from their Capstone research projects at two professional association conferences. Students, faculty, staff and alumni of Northwestern University's MS in Learning & Organizational Change Program regularly share knowledge and resources online about transforming organizations. Review the June 2012 highlights from Twitter, blogs, Google+, Remember.com and other online resources. Then join the conversation this summer! Organizations spend countless hours and energy on corporate citizenship initiatives and programming. While the debate about the benefits of socially responsible activities and corporate citizenship continues, the question remains: To what extent does "doing good" really matter when it comes to employee engagement? 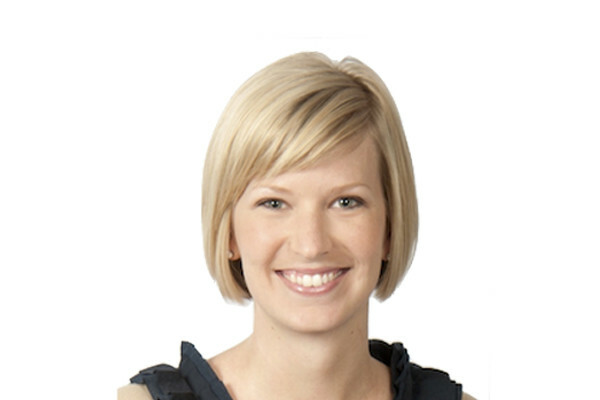 MSLOC alumna Sandra Felker joined Ernst & Young as a Manager of People & Organizational Change. 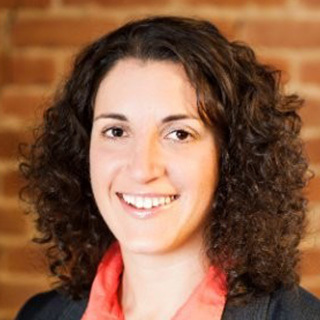 MSLOC alumna Michele Catalano joined West Monroe Partners as the Management Development Training Manager. Tabitha Isham, Anne-Marie Wolff and Brit Combs, all current MSLOC students, also started new positions. Psychological Capital (also known as personal resources) describes the within-person capacities of self-efficacy, hope, optimism and resilience. Targeted towards training & development professionals, this paper presents the findings of a study designed to identify an influential indicator in the selection of preferred training methods across these four within-person capacities. Students, faculty, staff and alumni of Northwestern University's MS in Learning & Organizational Change Program regularly share knowledge and resources online about transforming organizations. Review the May 2012 highlights from Twitter, blogs, Google+, Remember.com and other online resources. Then join the conversation this summer! Beth Black (MSLOC 2011) gave a keynote address titled Harnessing the Power of Story to Promote Change at the 2012 Wisconsin Women's Health Summit. 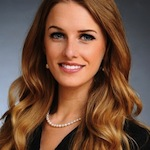 Recent graduate Lucy Gee (MSLOC 2012) will facilitate a discussion on employee empowerment at the MOR Associates IT Leaders Conference in Chicago June 20-22. 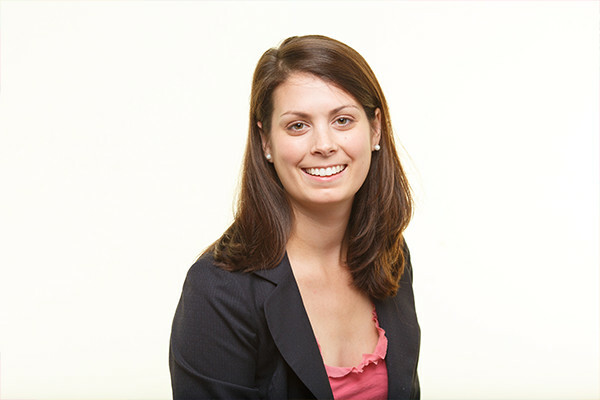 MSLOC alum Sarah Ketvirtis joins SymphoniIRI Group as Organizational Development Director. Alum Vikash Shah joins Nielsen as HR Business Partner. It is important to understand the challenges to implementing 360-degree feedback in a team setting to gain the anticipated benefits of increased individual self-awareness, transparent communication and ultimately improved team performance. Terri Cramer, associate director of the program, was selected as a finalist for Employee of the Year at Northwestern. SESP associate dean Coleen Coleman was honored for her 20 years of service. 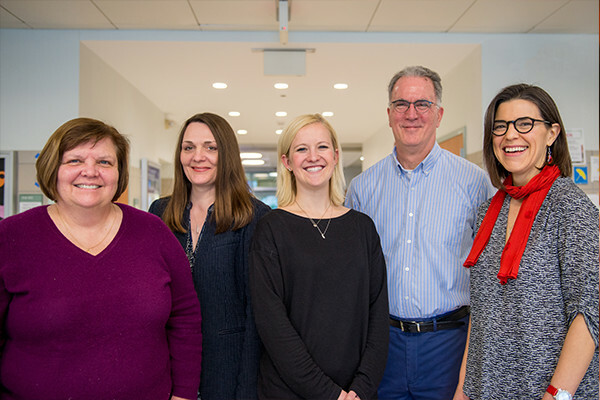 The Master of Science in Learning and Organizational Change program (MSLOC) at the School of Education and Social Policy marks its 10th anniversary with a celebration this spring. Students, faculty, staff and alumni of Northwestern University's MS in Learning & Organizational Change Program regularly share knowledge and resources online about transforming organizations. Review the April 2012 highlights from Twitter, blogs, Google+ and other online resources. Then join the conversation this spring! Lawyers and law firms are of particular interest in the management context because of the natural tension between the practicing law firm lawyer and the manager. This study examines managerial success and failure of mid-level attorney managers in becoming senior attorney managers in law firms. Kimberly Scott authors "Eight Ps of Healthy Workplace Design"
MSLOC Director and Assistant Professor Kimberly S. Scott authors chapter for new book. MSLOC alum Christine Leung (2009) joins Tennessee's innovative Achievement School District as Director of Knowledge Management. Students, faculty, staff, and alumni of Northwestern University's MS Learning & Organizational Change Program regularly share knowledge and resources online about transforming organizations. Review the March 2012 highlights from Twitter, blogs, Google+ and other online resources. Then join the conversation this spring! Two SESP faculty members and a SESP alumna have found evidence that extracurricular design-based learning prepares students for careers in innovation. Decision-making is an integral part of any team activity. But sometimes teams can follow a flawed process by not exchanging enough information, exploring inadequate alternatives, and make erroneous conclusions. Students, faculty, staff, and alumni of Northwestern University's MS Learning & Organizational Change Program regularly share knowledge and resources online about transforming organizations. Review the Winter 2012 highlights from Twitter, blogs, Google+ and other online resources. Then join the conversation this spring! The leader of a team plays a critical role in facilitating knowledge sharing. This article looks at the role of leadership and trust in knowledge sharing and makes recommendations that can be used to increase knowledge sharing within organizational teams. 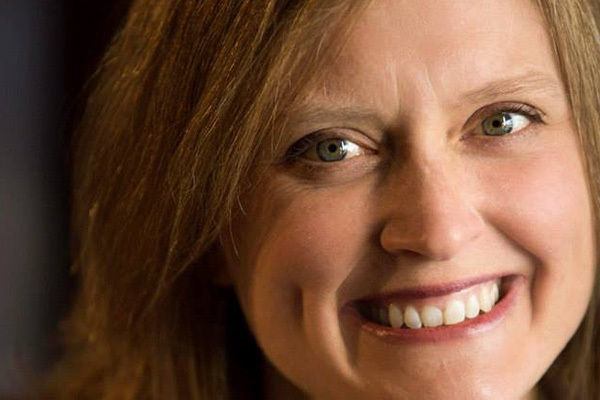 Jeanne Marie Olson (MS96), a faculty member in the Master of Science in Learning and Organizational Change program at the School of Education and Social Policy, will join with eminent professionals to discuss “Creative Process” as part of Chicago Ideas Week on October 15. SESP’s Master of Science in Learning and Organizational Change (MSLOC) program opens the school year with new status as an international program, a new full-time faculty member and new recognition for its innovative use of technology. Are We Ready to Innovate? Organizations in the current global competitive environment are under increasing pressure to innovate rapidly to deliver breakthrough ideas and products to the market in what has been described as a shift from a knowledge economy to a creativity economy (Berner, Brady, & Nussbaum, 2005). Trust is a critical ingredient to ensuring a healthy team dynamic, with its absence dramatically hindering team success in any organizational context. Being able to recognize, interpret and convey the significance of patterns in massive amounts of data is critical to organizational success. Today we launch a new look for MSLOC’s website home and for The Knowledge Lens, our forum for sharing thought leadership on learning and organizational change. The Knowledge Lens reflects the opinions of various MSLOC students, staff, faculty and alumni. Statements on The Knowledge Lens may not necessarily represent the opinions of anyone other than the author. The content does not in any way represent the views or policies of Northwestern University's MS in Learning & Organizational Change Program.